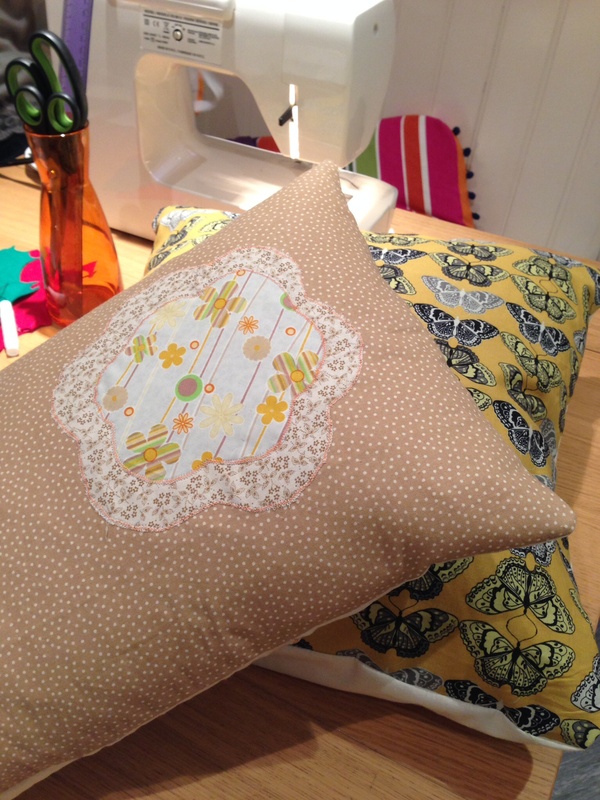 Cushion covers seem to be some of the most popular items that people wish to learn to make. This envelope cushion is the easiest & quickest style to learn. As well as straight seams you will learn how to hem fabric & also have chance to add an applique decoration to your cushion. The cushion dimensions (measuring seam to seam). Your own choice of fabric – enough to cover 3 sides of your cushion (nothing too thick/heavy).